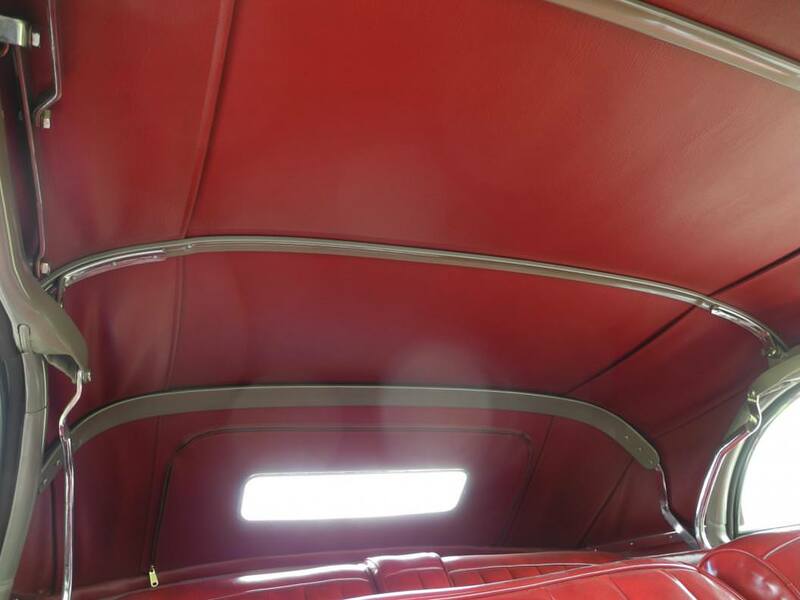 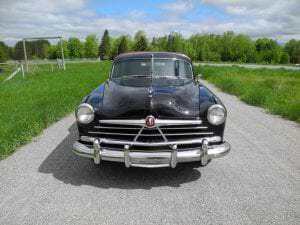 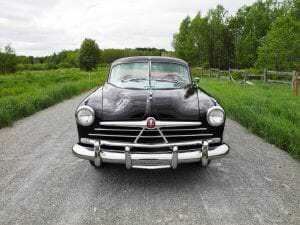 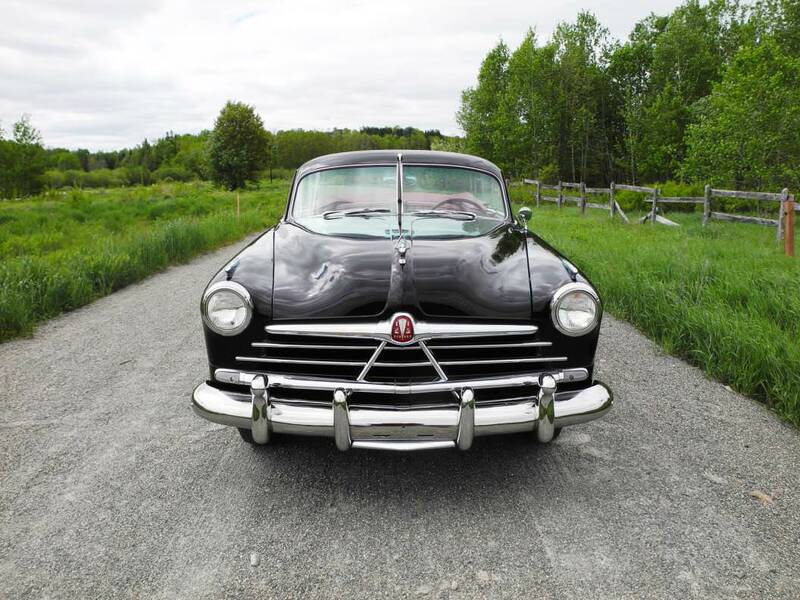 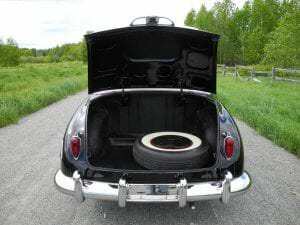 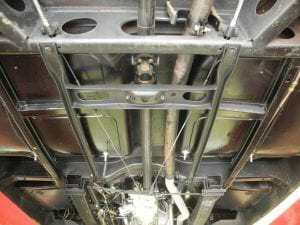 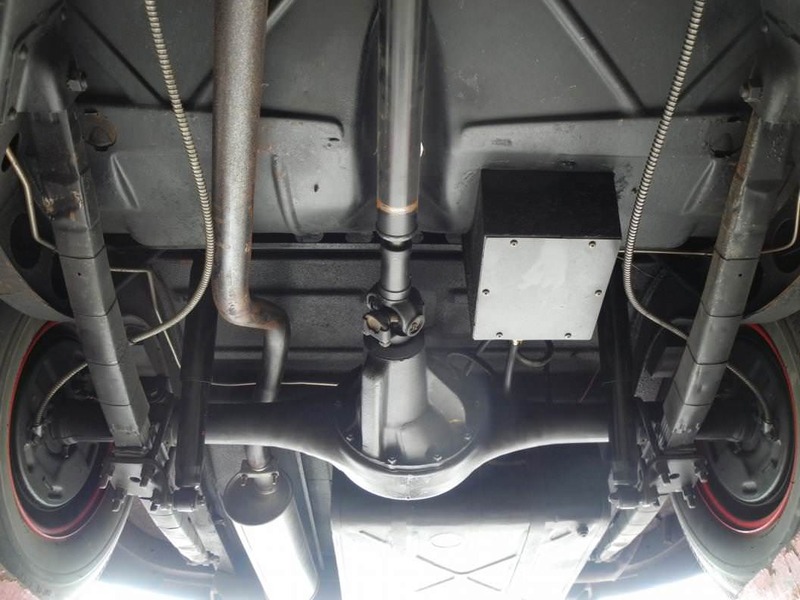 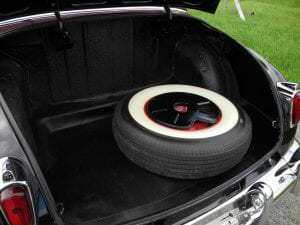 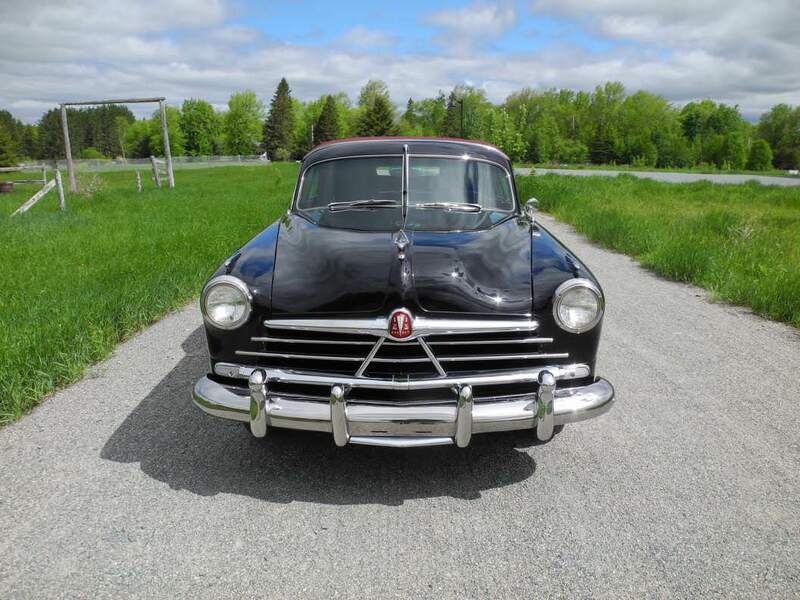 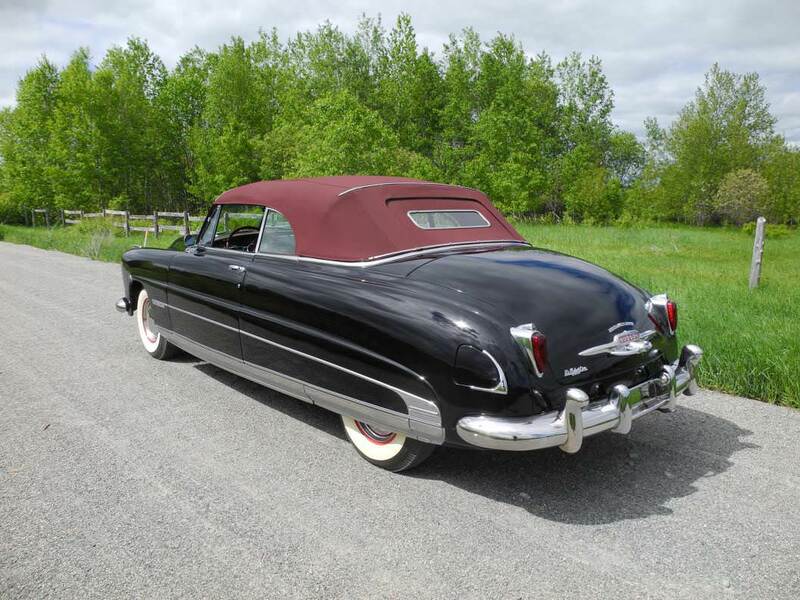 Starting in 1948 the new Hudsons boasted a step down design, where the body was lowered over the frame allowing a low center of gravity for better handling, comfort and safety, as a result the long low sleek body style their known for. 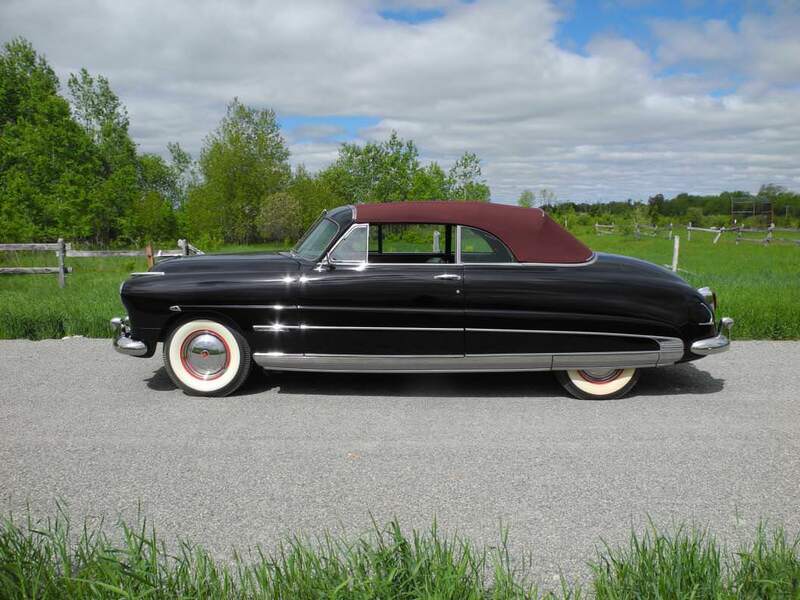 In 1950 the Commodore stood at the top of the Hudson lineup. 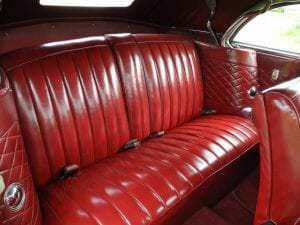 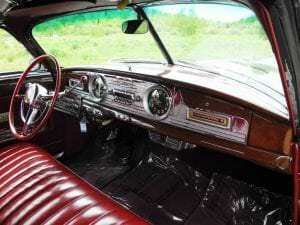 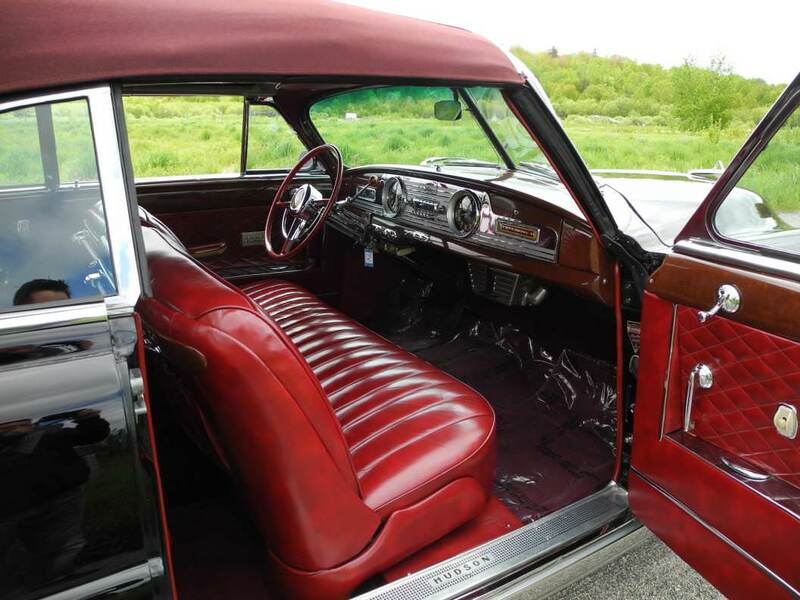 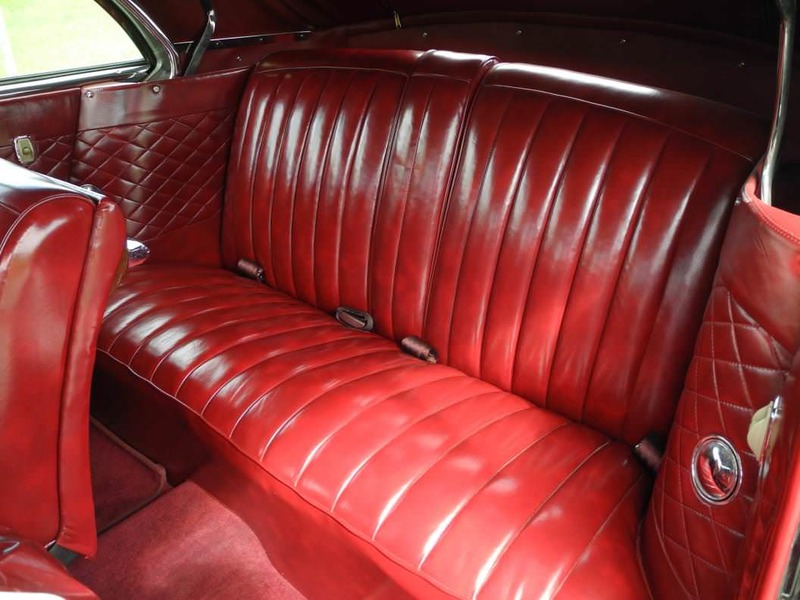 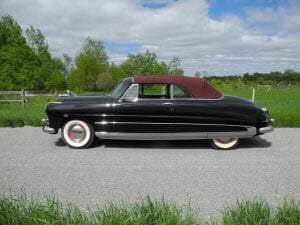 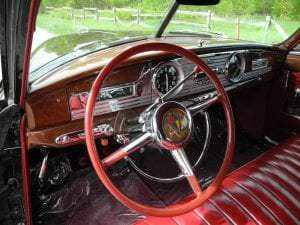 It rode on the longest wheelbase boasting a big six or a smooth straight eight, receiving more luxurious trim than the Supers, and was by far the most popular of big Hudson’s. Commodores outsold Supers by more than two to one, despite their rather higher price. 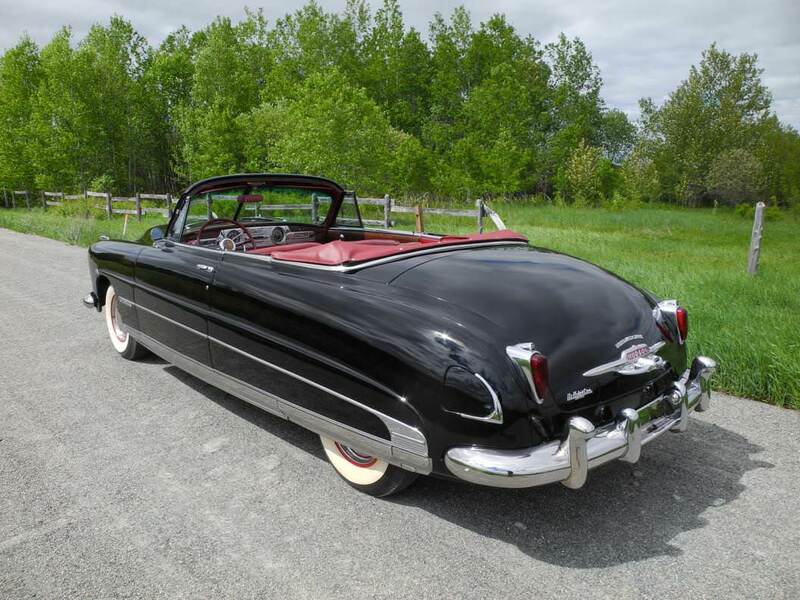 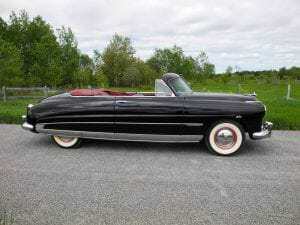 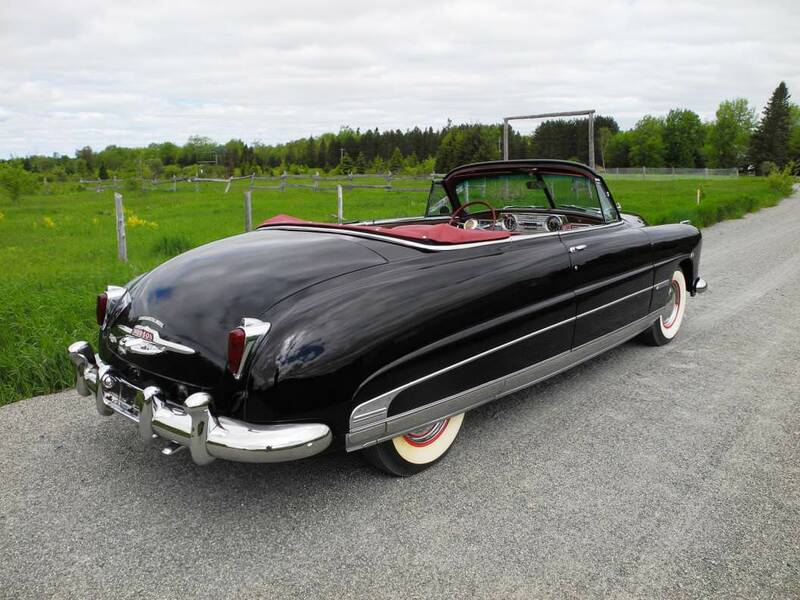 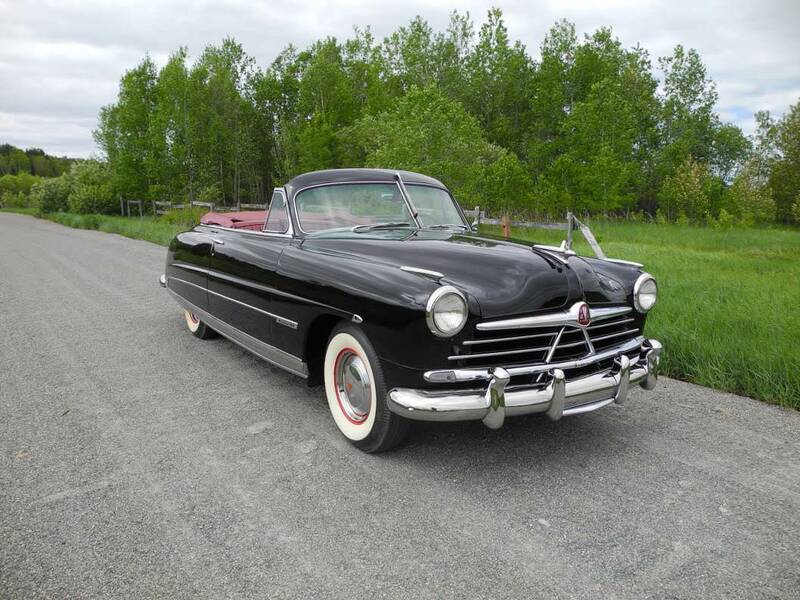 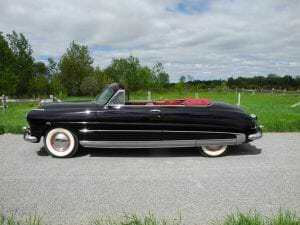 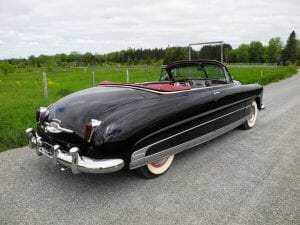 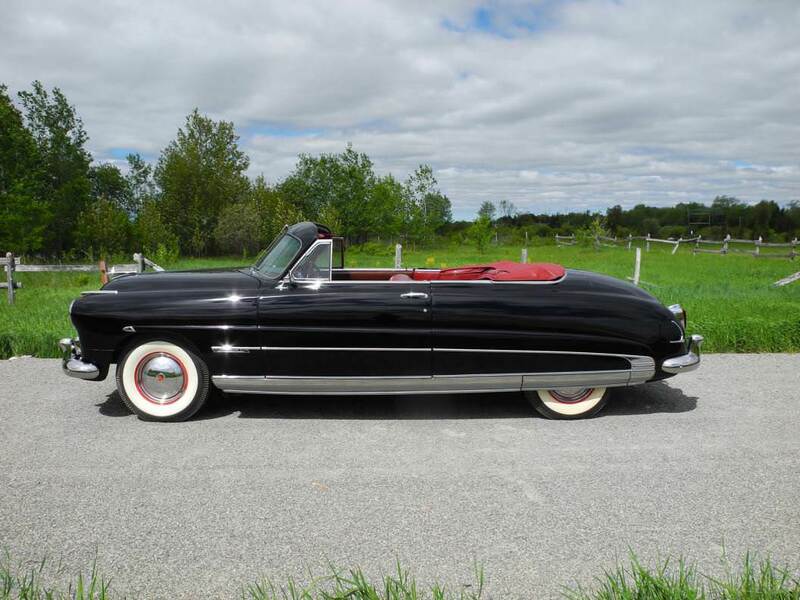 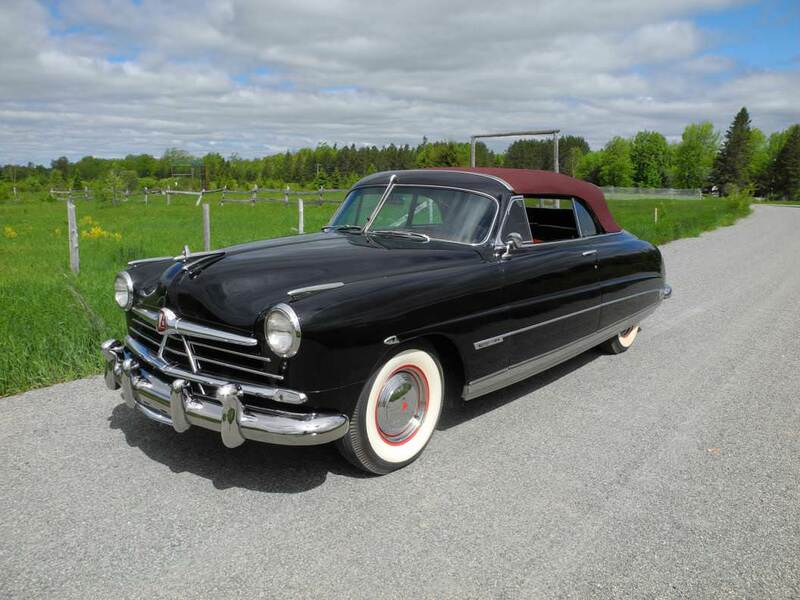 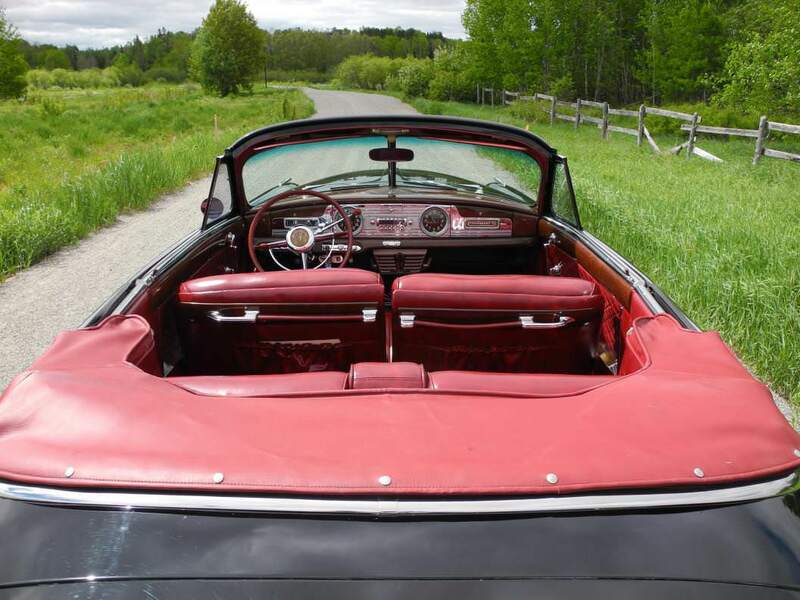 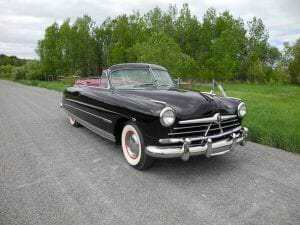 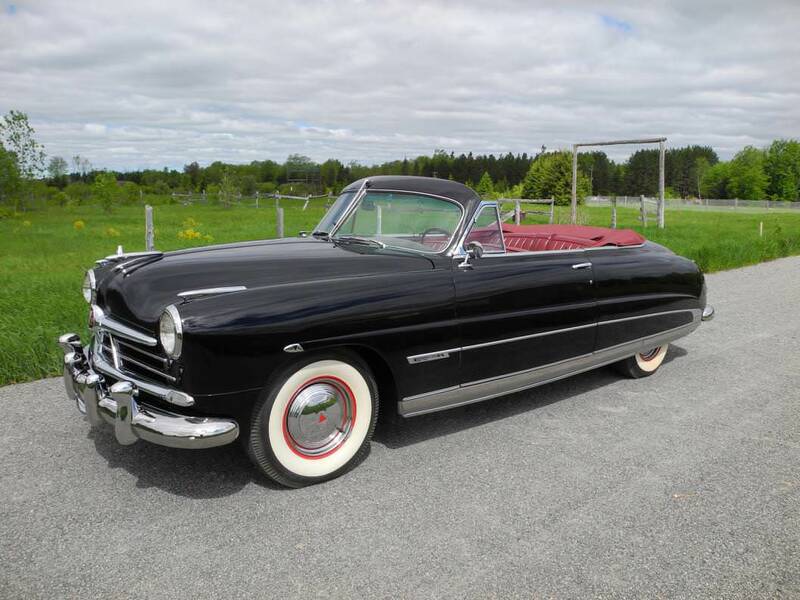 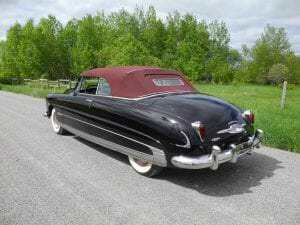 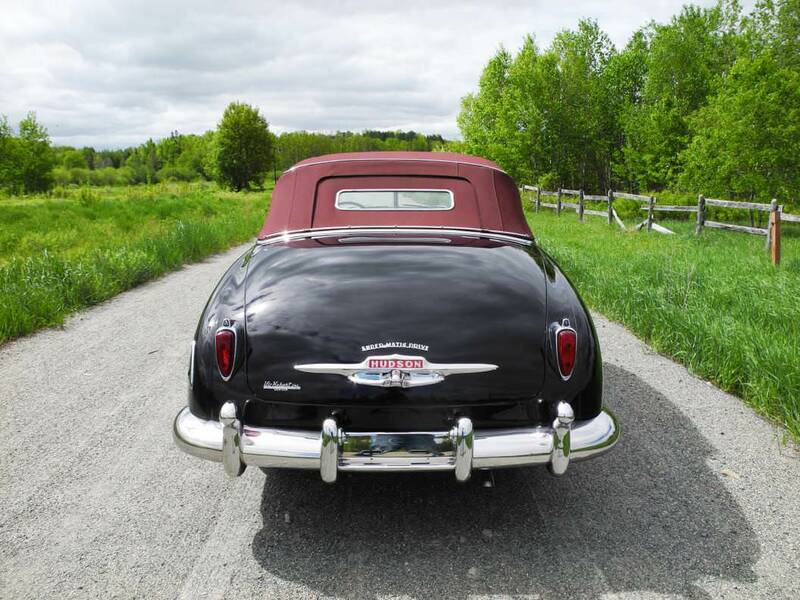 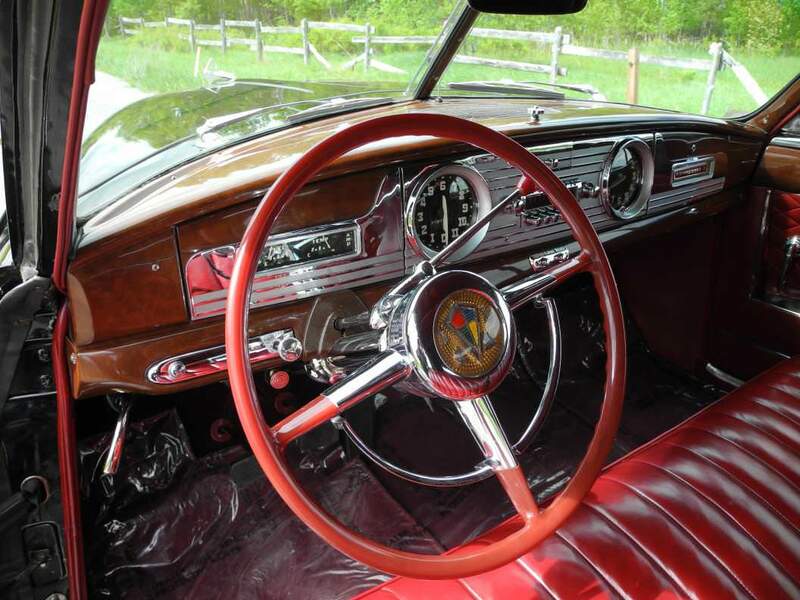 An estimated 1,100 of Hudson’s 3,322 convertibles built in the 1950 model year were Commodores. 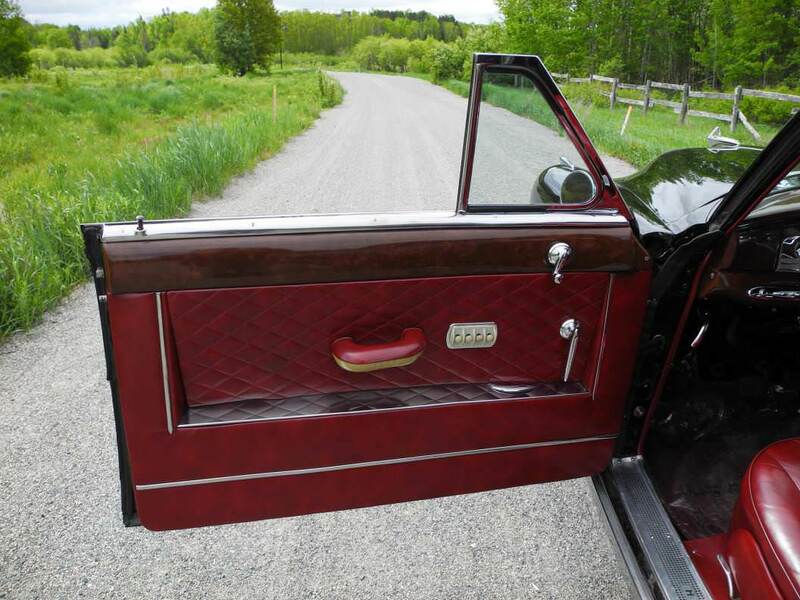 This stunning automobile, finished in show quality Ebony Black is drenched in flawless chrome & stainless trim, lavish maroon leather upholstery & complimented by a maroon stay-fast power convertible top. 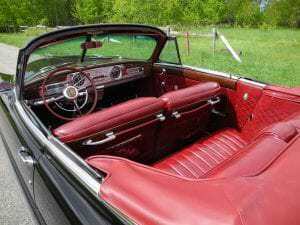 It’s equipped with the famous 254cid-128 horse-power straight eight engine & exclusive column shifted “super-matic drive” transmission. 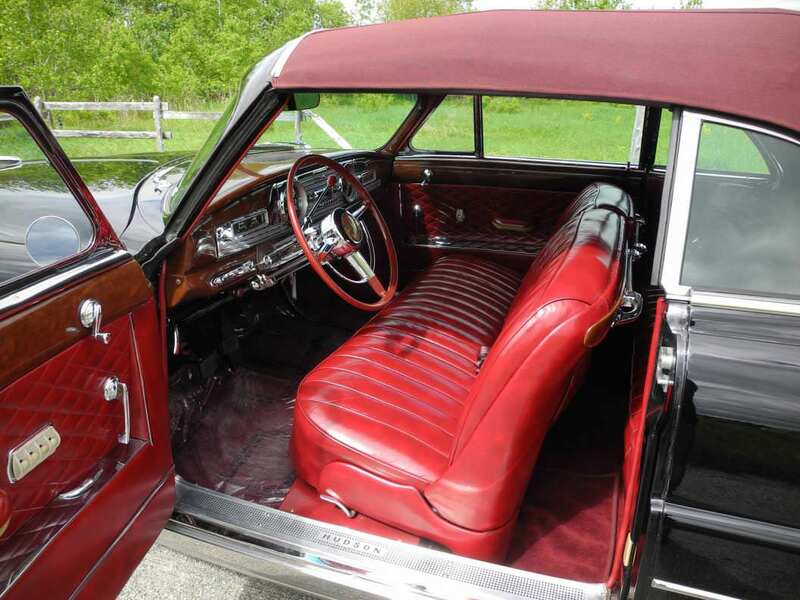 Several desirable options adorn this magnificent classic including radio & clock, power windows, weather control heater, front & rear bumper guards, fender skirts, full wheel covers with trim rings and BF Goodrich 760-15 Silvertown wide white wall tires. 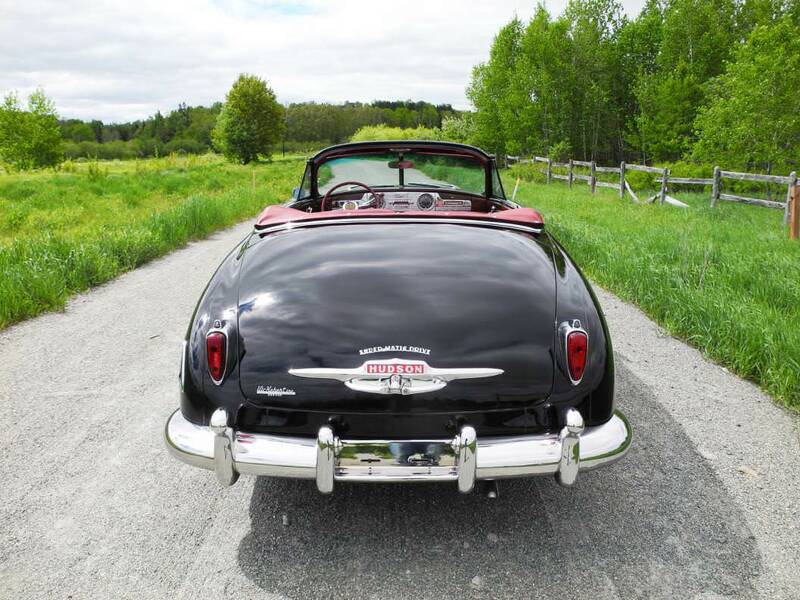 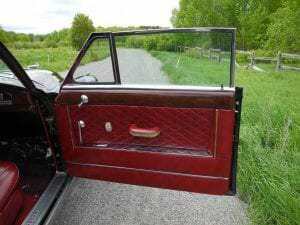 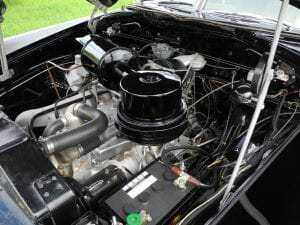 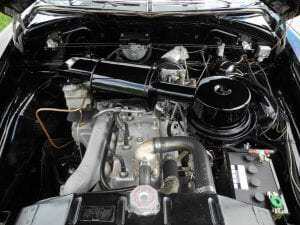 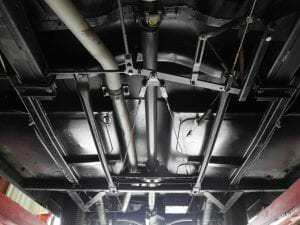 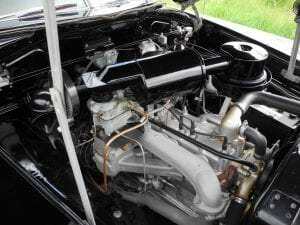 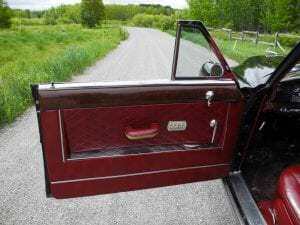 An expensive frame off restoration was performed on this unique auto from the former authority on Hudson’s; past dealership owner and known collector John Soneff, the detail on this automobile is outstanding, if you command the best, this is it. 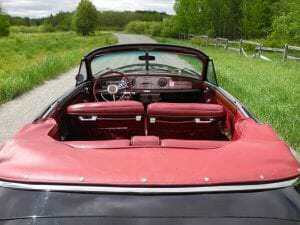 1950 Hudson Commodore 8 Convertible?